We live in an increasingly complex and interconnected world. Where technology, and its potential benefits and risks, are not bound by, and do not respect, jurisdictional borders. A world that sees technological innovation as being an integral component of the Anthropocene, and resilience as being fundamental to our—and the environment’s—ability to flourish. With the age of the Anthropocene now upon us, there is increasing pressure on policy makers and scientists alike to develop robust agendas for socio-technical integration approaches, to innovate responsibly, and evaluate policy tools, methods and outcomes in real-time. 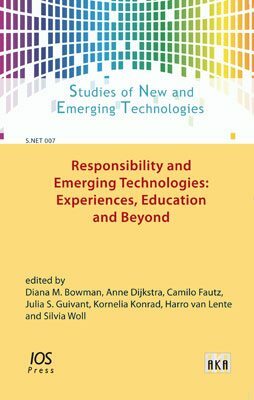 Bringing together contributions from the multidisciplinary S.NET community, Responsibility and Emerging Technologies: Experiences, Education and Beyond critically examines the responsible research and innovation policy landscape for emerging technologies. The volume, and its authors, highlight the fundamental roles that reflection, education and evaluation play, and the significance of culture at every step of the process.